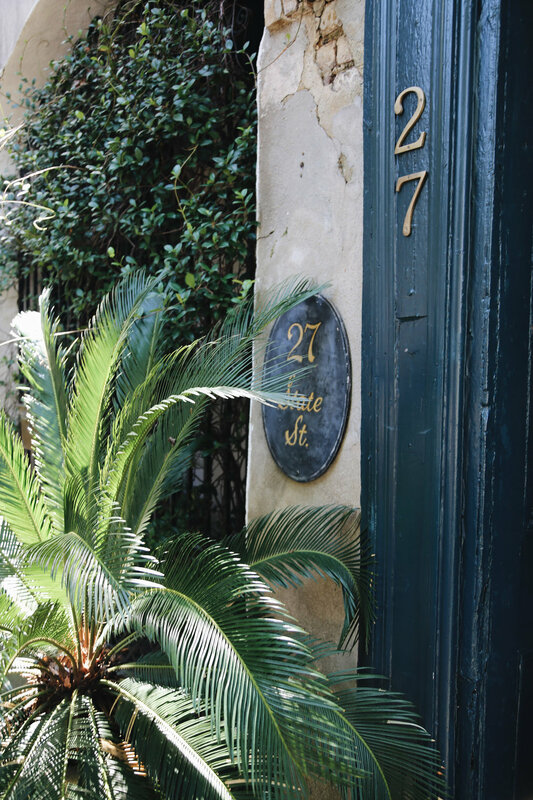 Charleston is one of my favorite cities to visit, but somehow, the Mr. had never been there. 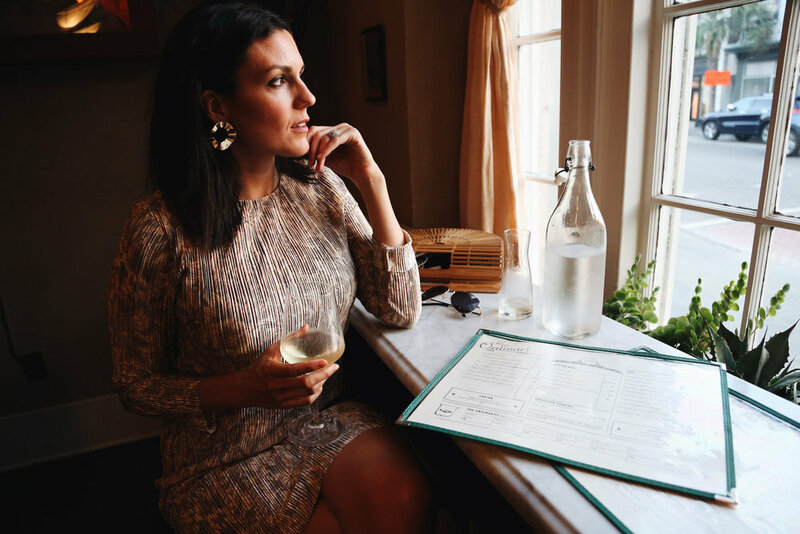 Despite my warnings that one night in the city wouldn't be enough, he was convinced we would need more time in Savannah, as it was a place neither of us had visited. But barely a few hours into our stay and the charm of Charleston had won him over. He quickly realized I was right all along (as he usually does ;) ) and we almost immediately adjusted our plans to allow for 48 hours in Charleston. With so much good food, beautiful buildings, lovely people and things to do, even 48 hours hardly seemed like long enough, but it's impressive how much you cram into your schedule when you're really motivated to. Of course, I wanted to introduce the Mr. to some of my favorites from my previous visit, but there were also a handful of places I didn't make it to before, as well as a few newer spots we were hoping to check out. So we set out, wasting no time in taking in all that Charleston has to offer. Please note: this somehow turned into a mostly food-based itinerary. Sorry...not sorry?! P.S. If you haven't already, make sure you check out our Charleston vlog, as well. We got up early to sneak in some more work before heading out for breakfast, which ended up being more like an early lunch by the time we got around to it. We went to Butcher & Bee, which was so delicious and so fresh. Highly recommend it! Afterwards, we walked around and did a little shopping, stopping so I could treat Mr. RC to a few chocolates from Christophe's, a spot I loved on my first trip to the city. We then spent some more time working (we had a lot to catch up on), before getting dressed up (I wore this outfit.) and heading out for a tour of bites and beverages. We started at The Darling Oyster Bar, grabbing a cocktail and seafood dish, before making our way down the street to another favorite, The Ordinary. More food (highly recommend the steak tartare with crispy oysters), more drinks (The Crooked Rain No.43 has a house-infused blueberry rum that is incredible! ), lovely atmosphere (the restaurant is housed in what was once a bank), stellar service. We searched a few spots for dessert, but nothing caught our eye, so we ventured in search of another cocktail, landing on a "speakeasy" spot (aka The Cocktail Club) with some pretty delicious cocktails. 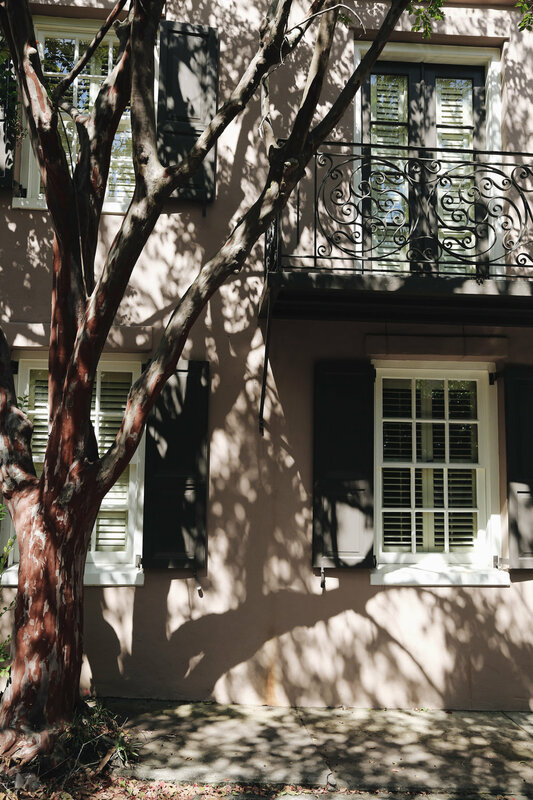 While we didn't have time on this trip, some of my other favorite things to do in Charleston include taking a haunted history tour, checking out some of the old plantations and heading over to Sullivan's Island. 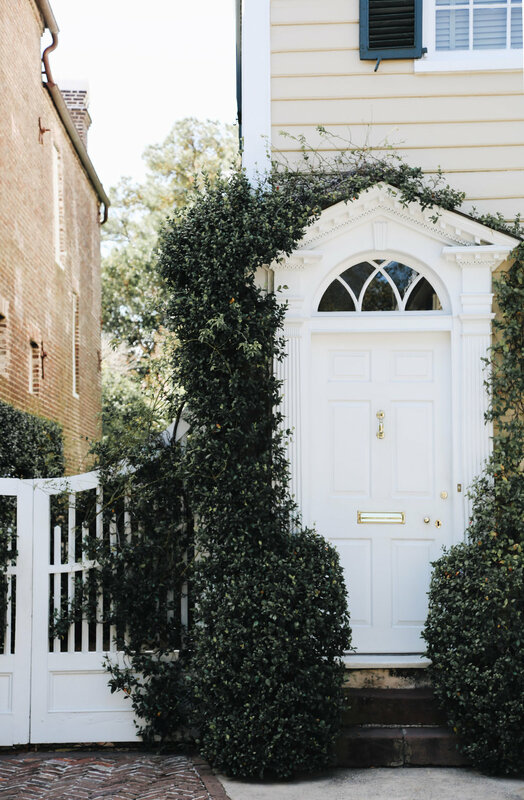 For more details on those and other things check out (if you have more than 48 hours), peek my previous Charleston Travel Guide. We arrived in the afternoon and settled into our room at the King Charles Inn (coincidentally where I stayed on my first Charleston visit) for a few hours of work. We headed out for a late dinner to one of my favorite spots, Husk. It was a Monday night so we didn't have too much trouble getting in, but most nights I'd recommend a reservation. However, if you do have to wait, head to their bar next door (and do yourself and order the golden beet cocktail...just trust me on this one!). We were up and at 'em early. We finally had one full day to explore before making the quick drive to Savannah later in the day. We started off with Callie's Biscuits (Dangerously delicious! We tried the sausage, pimento cheese + egg sandwich, which I loved, and we also got three mini biscuits, one with ham, one with gravy and, my favorite, one with blackberry jam.) before I introduced the Mr. to Blacktop, my favorite Charleston coffee shop (and my favorite lavender latte). We then spent the rest of the day walking.....and walking.....and walking some more. I swear every home and street is so pretty, I literally could walk forever (which we basically did). I never made it to "Rainbow Row" last time, so I made sure we went there, and then we spent a lot of time walking through the quieter, more residential neighborhoods in that part of the city. Afterwards, we strolled on over to the water to watch the dolphins, before making our way to Candlefish where I'm pretty sure I spent an hour smelling their entire library of candles (We didn't have time this trip, but they do offer a BYOB candle making class, just sayin'!). We grabbed our car and started to make our way out of town, but not before one last, very important stop- Leon's. The fried chicken sandwich, hush puppies, kale salad and seriously refreshing frozen gin + tonics could not have been a better meal to end our trip on. 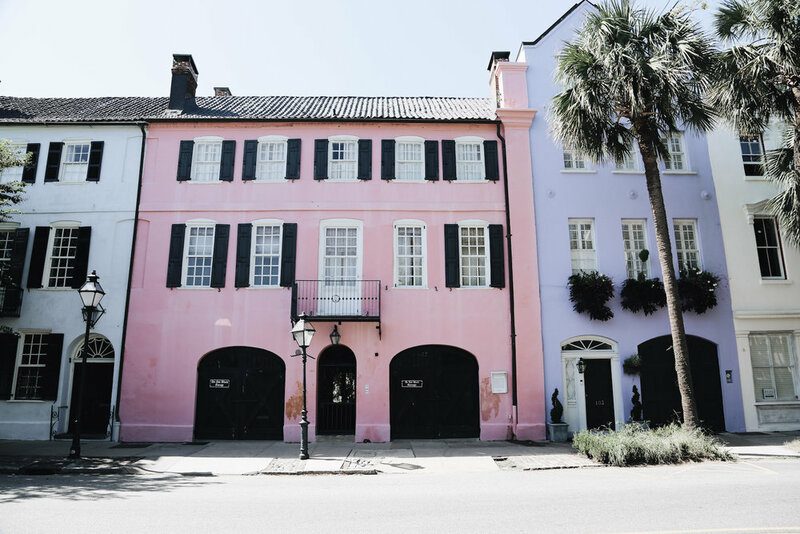 Have you ever been to Charleston? If so, what are some of your favorite things to see, eat and do there?